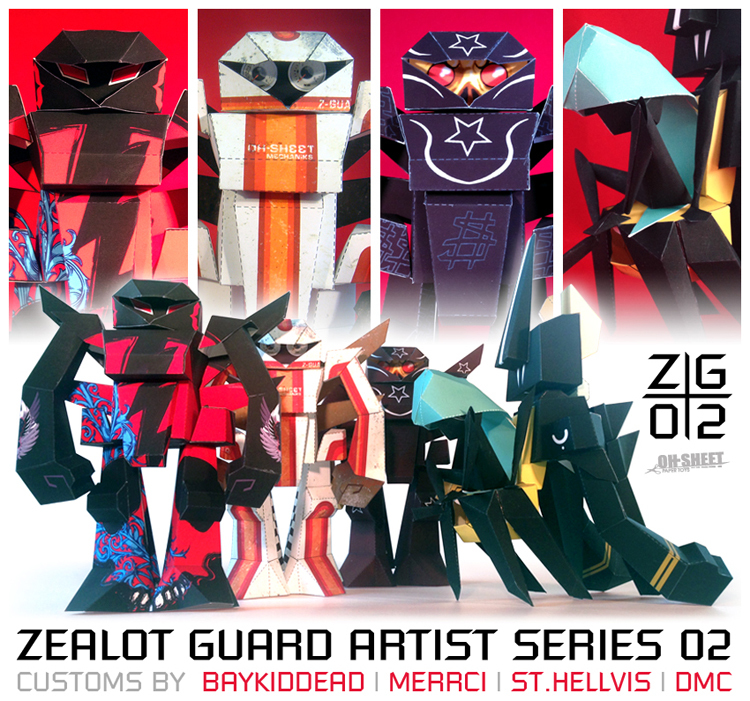 I made a custom of the formidable Zealot Guard by ABZ from Oh-Sheet papertoys for the Artist Series 2. It’s a really nice toy and I’m proud to be in the same series as Merrci, Baykiddead and DMC. The toy is free to download from Oh-Sheet papertoys. Get it, build it, enjoy! The UPC is live and kicking!